« How Many Kind Acts Can You Do in One Day? The article above was written by Scott McIntyre of the Naples Daily News. 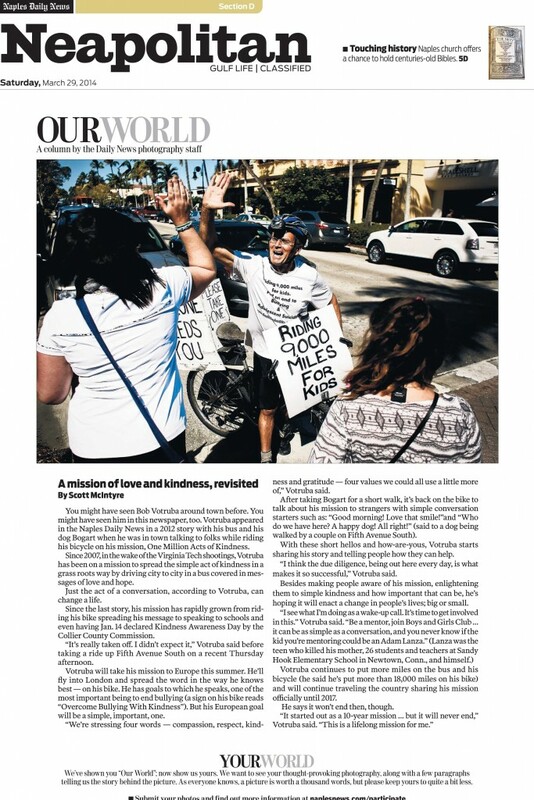 This is the 2nd time that Scott and the Naples Daily News has featured One Million Acts of Kindness. A huge thanks goes out to them!! This entry was posted on Tuesday, April 1st, 2014 at 2:31 pm	and is filed under Kindness. You can follow any responses to this entry through the RSS 2.0 feed. You can leave a response, or trackback from your own site.